This new bike path has been open for some months now, it has attracted a great deal of attention, and rightly so. It is state of the art for a bike path along an urban highway on a stretch of road that has a fairly fast speed limit for cars (70kph), so keeping bikes separate and safe is high priority. Additionally, it cost in the vicinity of $1m, a lot for a short path. 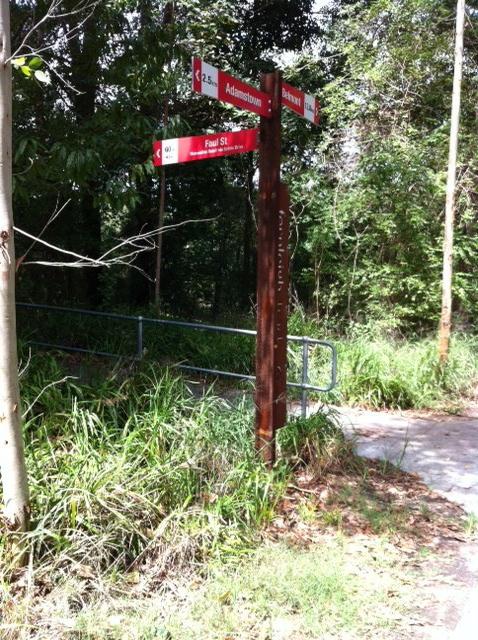 Also, and most importantly, it provides a link for riders between Fernleigh Track and Merewether Heights, leading to the beaches and/or the city. 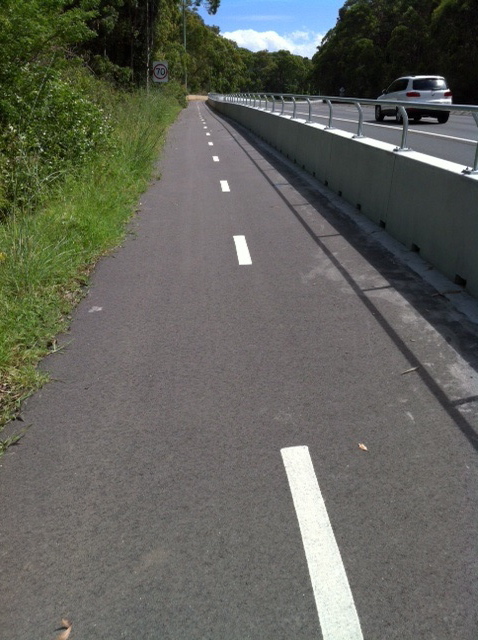 I chose to ride from Fernleigh Track, despite worrying that the exit from the track to Faul Street, where the new path joins the highway, would be difficult to locate, I need not have worried though, as it is very well signposted. Riding up Faul Street and the neighbouring streets was not especially pleasant, though, as they are all so hilly, but being back streets and very quiet, there is no threat to cyclists. I had also been concerned that the path would feel unsafe, being so close to speeding cars and having the inward curving rail at the top of the separation barrier as you can see. I need not have worried however, it felt very safe to ride along this path. I realise, though, that this sense of safety may be misleading: if a speeding car went out of control along here and ran into the bike path, I do not know what would happen, though the separating barrier seems very solid. Good visual warning of obstacles is well thought out, and needed, as the track is not terribly wide. I would guess that 3 bikes could fit across this path, allowing overtaking if a bike was approaching in the opposite direction, but it would be a tight squeeze and all riders would have to have good judgment on their placement on the path. I would definitely not recommend passing at the juncture pictured above. My overall reaction to this path is that it is an excellent piece of infrastructure, in a relatively important part of the overall cycling infrastructure in Newcastle. Riding along it, in contrast to riding along the side of the highway as it was before, feels much safer and gives cyclists a strong sense of having a place on the road. As for value for money, it is an expensive one kilometre path, and there are other projects that would have delivered better returns for those dollars. However, this one was funded by the RMS which does not have jurisdiction over all roads here, and would not have been able to put a path in, say, Hunter Street, where it would have served a much better purpose and have had much greater use. 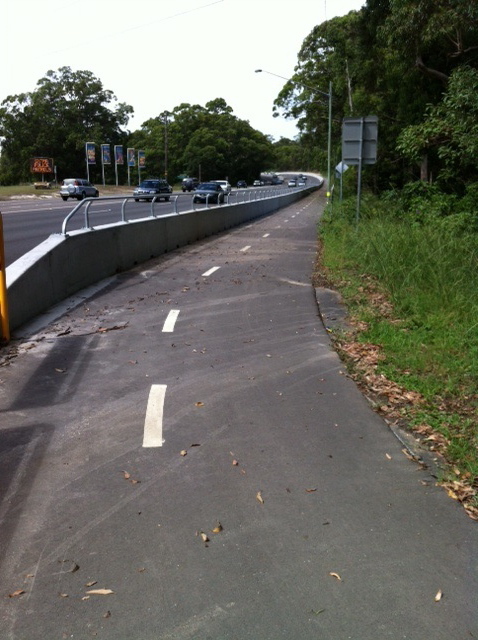 This entry was posted in Uncategorized and tagged cycleways, Fernleigh, infrastructure, Merewether, newcastle, newcastle bike tracks. Bookmark the permalink. Despite the funny glitch caused by light-post, it seems to be smooth safe bike lane. Sometimes, just before taking my bicycle and riding among traffic, I can be a little worried. This unpleasant thought disappear immediately when I ride my bike. It may be a common privilege from crowded city. So, this piece of infrastructure can alleviate nasty mood. As a foreigner I am not really sure about my understanding: is it a paying bicycle path? That’s not common in my country. Yes it is a very smooth and safe path, there is no fee to ride on it either, I don’t think there are any bike paths here that require a fee to be paid. With motorways, it is different, there are many in the capital cities that charge a toll. 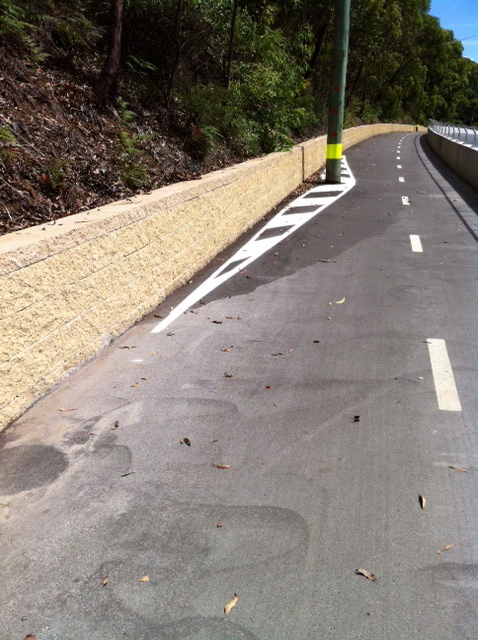 I haven’t checked this one out yet, but from memory the roads around this path at the Merewether end, including Scenic Drive, aren’t that bike friendly either, except for the speed limit being marginally lower ! I rode to the scenic drive end Peter, and it stops a short distance into that road, then if you are headed to merewether you have to cross the road and that could be a bit risky. I haven’t done the ride along there for many years, it’s an area I avoid due to fast traffic and parked cars. I think the preferred route is along Yule rd which is quieter.